For anyone that has been willing to listen over the last few months, I have shared the bazillion reasons why I love am obsessed with using the HR Management Software (HRMS), BambooHR. I am in no way exaggerating when I say it revolutionized how we manage all aspects of human resources as a small business. This problem hit on two cores issues: First, there was no central place for storing employees’ data that was easily accessible by those who needed it, including the employees themselves; second, there was no context around why employees were receiving raises and we were often missing dates of promotions. Team members and managers couldn’t remember why they were given raises or promotions, which caused confusion on how to get the next one. Data storage was top of mind when I was looking for an HRMS. I wanted it to be user-friendly, have granular controls over access, and have the breadth of data storage options beyond basic employee information. BambooHR hit all three with their employee database software, on top of making the implementation process super easy to get all the information into the system efficiently and effectively. 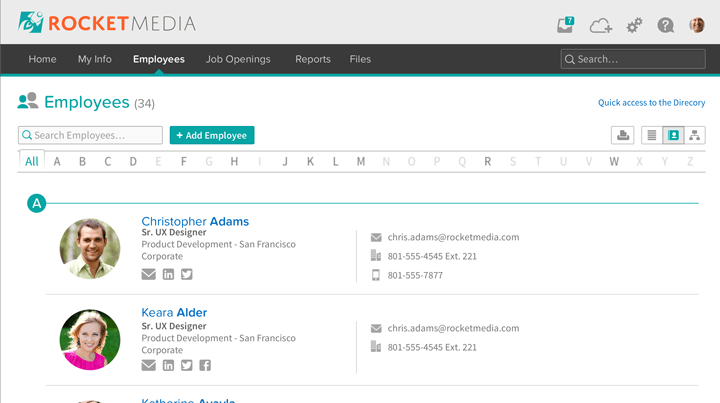 Now, employees are able to easily access their entire history of title changes, compensation changes, and bonuses. As HR, I also now have every employee’s personal information, emergency contact information, and other custom information, such as dietary restrictions, at my fingertips. The controls of who can see or edit a piece of information is incredibly granular to the point where you can choose who can see and edit each individual text box. We have been able to make custom access levels that ensure the right people are seeing the right information and nothing more. You don’t realize how big of an issue tracking paid time-off can become until it already is an issue. For a period of time, I was manually tracking PTO requests for all 28+ employees then posting when they will be out on a public “vacation calendar”. I took over the task from our amazing Office Administrator who had custom built the tracking sheet in Google Drive and managed it for over a year. Both of us struggled with making sure that tracking was accurate between the calendar and sheet as well as making sure it didn’t come to consume our lives. Requests for PTO and updates to previous requests would come all throughout the day from various means: pings, emails, people walking by, etc. Because keeping track of hours in a sheet for each day of the year would be insane, PTO could only be marked as being a full day for one of the categories we came up with. Most PTO requests were never that black and white which led to a lot of judgment calls on our end for what the best way to categorize it was. It was often inaccurate and so inefficient that I even wrote about it a BambooHR blog post calling it my HR Horror Story. Using a time-off tracking system allowed us to cut HR out of the equation for tracking. Employees now had a single system to log into to quickly submit a request directly to their managers and have the information automatically stored in their personal profile. For the first time, employees were able to see how many hours of PTO they have taken across several categories whenever they wanted the information. For managers, this meant standardization for how they were receiving requests and reminders by the system to respond to those requests. 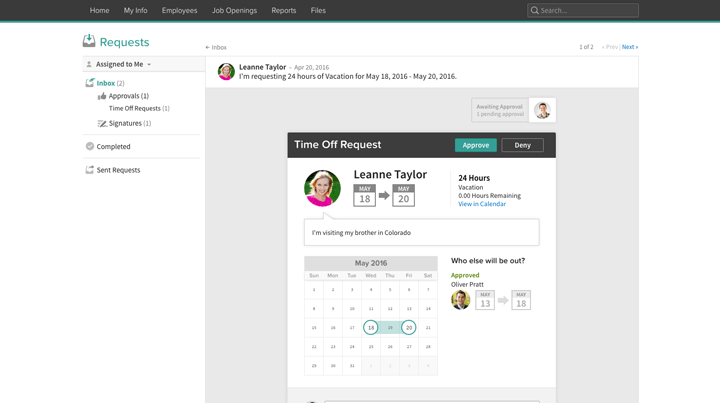 BambooHR also provides a “who’s out” calendar that gives managers a bird’s eye view into which team members will be out and when. As a digital marketing agency, we are obsessed with gaining accurate, actionable data for our clients to make the best decisions for their marketing. With having paper files mixed with some information tracked in various spreadsheets, we weren’t able to apply that same appreciation for actionable data to our internal operations. While the data was all there, there was no efficient way to bring it together quickly to make decisions or consume information. Out of the box, BambooHR has a number of standard reports that we can access whenever we need it within seconds. These standard reports including everything from last pay change to total years of service. On top of that, you can add filters and share out reports to managers who automatically can only see the information for only the people that report to them. If you have a need for a report outside of their standard templates, you can quickly create your own HR custom reports. This will allow you to pull any data field within the system that you would like and save the report for future use. Our Human Resource Management System, BambooHR, has changed the way our company manages Human Resources. 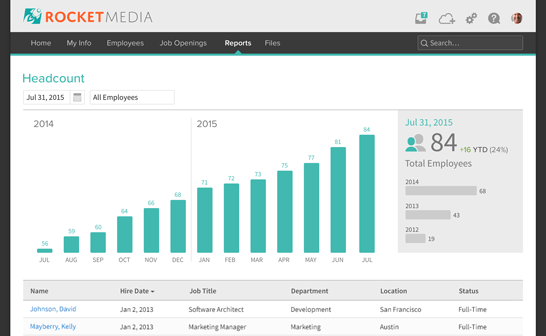 It has allowed us to be more efficient at pulling reports, handing applicant tracking, and onboarding/offboarding employees. It has helped us ensure that our data is accurate and up-to-date by giving visibility to our employees and holding them and ourselves accountable for updates. I would love to hear about how an HR system or process has changed the way your business functions. Leave your comments below!